2. Click on the SMS text. 3. A dialogue box will appear. 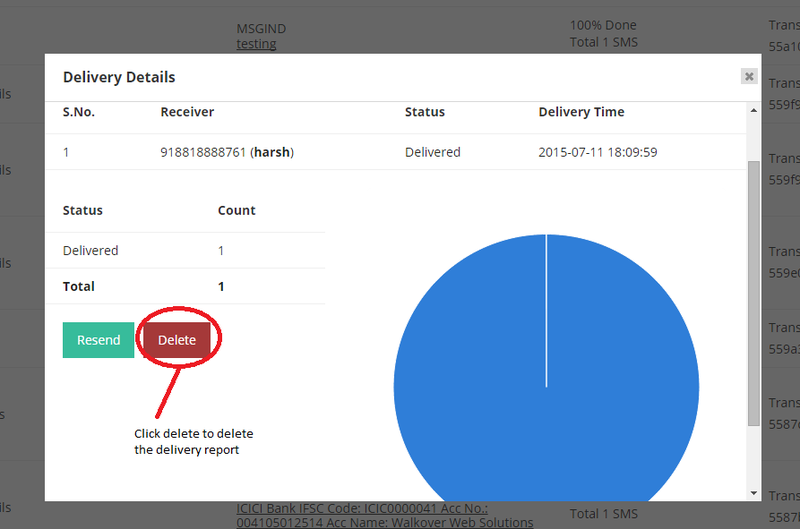 In the bottom of the dialogue box, you will see the option to delete the delivery report.